New Orleans food is a fantastic blend of cultural influences and mouthwatering flavors. This travel guide shares ‘must eat’ iconic foods and where to eat them in The Big Easy. As one of the oldest cities in the nation, it’s no surprise to find New Orleans is home to one of the most well-established food scenes in America. In fact, New Orleans is an absolute dream destination for travelers who love to eat. New Orleans food reflects the city’s rich multicultural history, with culinary influences stemming both from the European cultures that entered the area and the traditions of the area’s native population. From humble sandwiches to upscale desserts, there’s something on the menu for everyone to enjoy in the Big Easy. I just spent five days in New Orleans speaking at the International Food Bloggers Conference and was hosted by Visit New Orleans and the beautiful Royal Sonesta Hotel. Though much of my time was spent at the conference itself (which also included a delicious Taste of New Orleans with 20 local restaurants catering their own local fare), you can see more about where I went and what I ate on my Instagram Stories Highlights (the circles under the Bio) ‘New Orleans’. You’ll agree there is no shortage of great food! First, many smaller places are cash-only, so stop by the ATM before dinner and take out enough money to cover your meal. I did not have difficulty using a credit card or splitting a bill but it’s always best to be prepared. You should also know that finding gluten-free options in the city can be a struggle, especially if you’re looking to try the namesake New Orleans foods. Calling ahead can clear up any confusion around whether or not you’ll find a suitable option on the menu. Lastly, don’t judge a restaurant by its appearance. Some of the best New Orleans food is served out of “hole in the wall” establishments. Whether you’re just enjoying a long weekend in New Orleans or you’ve taken a week away to explore and experience all that the city has to offer, you can’t leave without sampling these eight New Orleans food classic dishes. 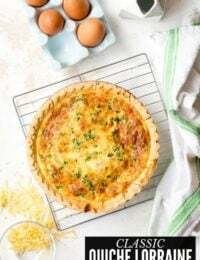 For those who are dying to try a bite of New Orleans food from home, you’ll find a ‘Make It At Home’ recipe link below each of the foods below! The Po Boy has deep roots in New Orleans. 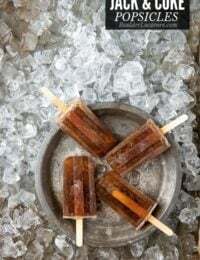 It got its start at a small coffee stand owned by Bennie and Clovis Martin in New Orleans during a transit strike in the late 1920’s. Supportive of the strikers, the Martins offered free sandwiches to those taking a stand. And while there are now a seemingly endless number of shops selling Po Boys in the city, you’ll find almost all of them are made with bread from Leidenheimer Baking Company – a New Orleans institution in operation since 1896. 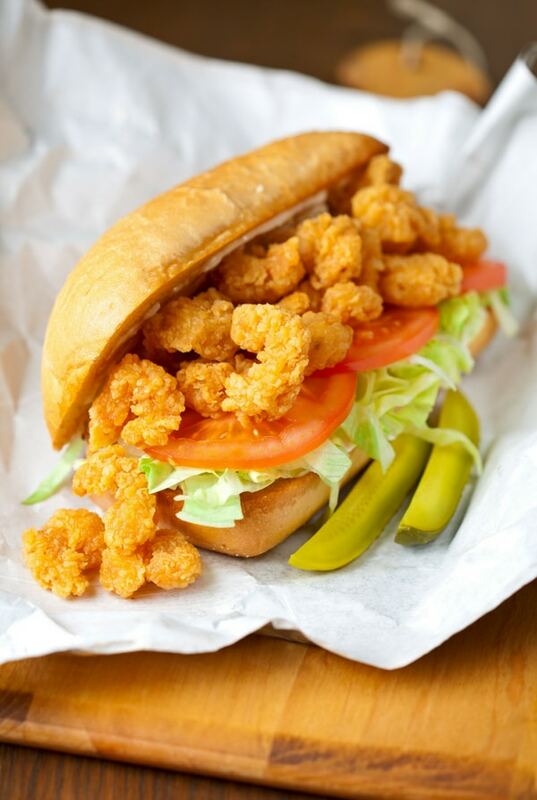 If you’re looking for the best shrimp po boy in town, head over to Guy’s Po-Boys. It’s cash-only, so swing by an ATM before you get there! For the most delicious roast beef po boy in the area, check out Parkway Bakery and Tavern. 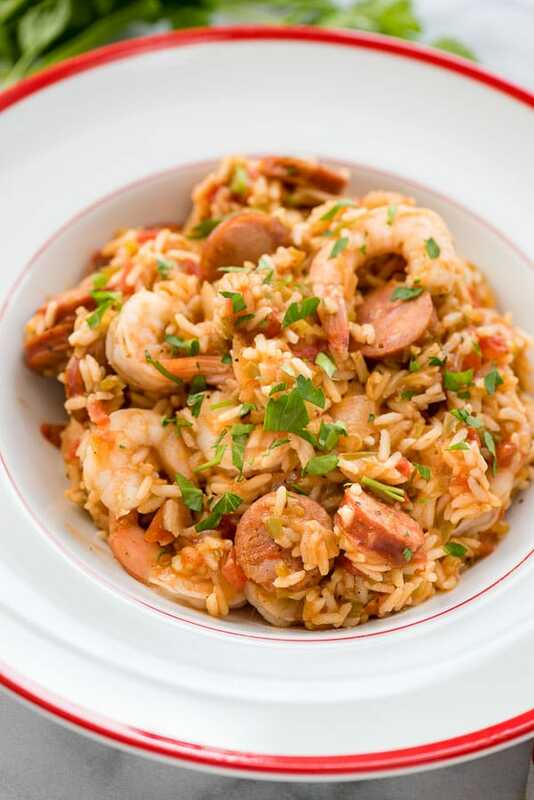 It’s said that jambalaya came to be when Spanish settlers tried to recreate paella after settling in New Orleans. With no saffron on hand, they used tomatoes to add color and flavor to a hearty combination of rice, veggies, meats and seafoods readily available in the area. Ultimately that transformed the dish into something entirely new and unique to the region. Sample a bowl of rabbit and sausage jambalaya at Coop’s Place, a local favorite, as long as you don’t have kids in tow (the establishment is 21+). Alternately, you can grab a bowl at K-Paul’s Louisiana Kitchen for an upscale spin on this classic dish. The muffuletta was born at Central Grocery Store in New Orleans in 1906. Created by the store’s owner, Salvatore Lupo, it was a combination of cold cuts, cheese and olives sandwiched between two halves of a loaf of muffuletta bread. After watching his patrons struggle to assemble their own sandwiches, Lupo decided to prepare them in advance – and the rest is history. You can still visit the shop where the muffuletta got its start for a taste of the real deal. 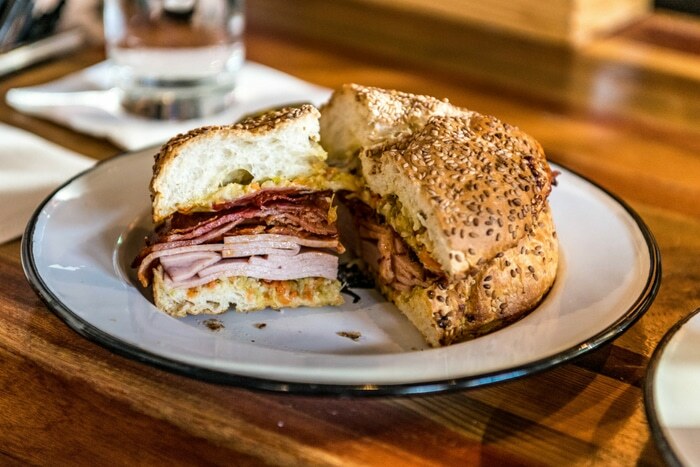 If you’re looking for an elevated version of this classic dish, head over to Cochon Butcher, a top-rated butcher shop and deli, for a muffuletta made with meats cured in-house. Or swing by Alberto’s Cheese and Wine Bistro for a gluten-free take on this local favorite. While the list of ingredients that goes into gumbo is quite similar to jambalaya, there are a few key differences any New Orleans native could point out. Unlike jambalaya, which is prepared with rice, gumbo is served over white rice and includes okra or file (powdered sassafras) to thicken the mixture. 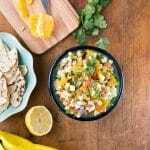 Gumbo can include a wide variety of meats, seafoods and vegetables, but you’re almost guaranteed to find onion, bell pepper, and celery – the “holy trinity” of Creole cooking – in the mix. Like many New Orleans food favorites, there are dozens of restaurants serving up gumbo to choose from. Along with its jambalaya, Coop’s Place is known for serving an exceptional seafood gumbo. To sample a variation of gumbo you won’t find on every menu in town, swing by Gumbo Shop and grab a bowl of the gumbo z’herbes. For a bowl of the good stuff, minus the gluten, plan a visit to Chef Ron’s Gumbo Stop. A true Cajun classic, this dish consists of crawfish and veggies, smothered in a thick sauce, served with white rice. 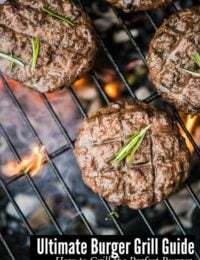 While the word is French in origin, the food is American by creation. No one is quite sure when the dish first came to be, but it holds a place on many Cajun and creole restaurants in the Big Easy. While you can’t go wrong ordering this dish at any authentic New Orleans food eatery, for a taste of some of the best crawfish etouffee in the city, sample this local favorite at the Bon Ton Cafe or Mother’s Restaurant. Want a fun twist you won’t find anywhere else? Give the Crawfish Etouffee Dog at Dat Dog a try. Make It At Home: Crawfish Etoufee or Shrimp Etouffee (made with shrimp which is more widely accessible). This meal was – and still is – a Monday staple in many New Orleans households. The tradition started when Mondays were considered laundry days. 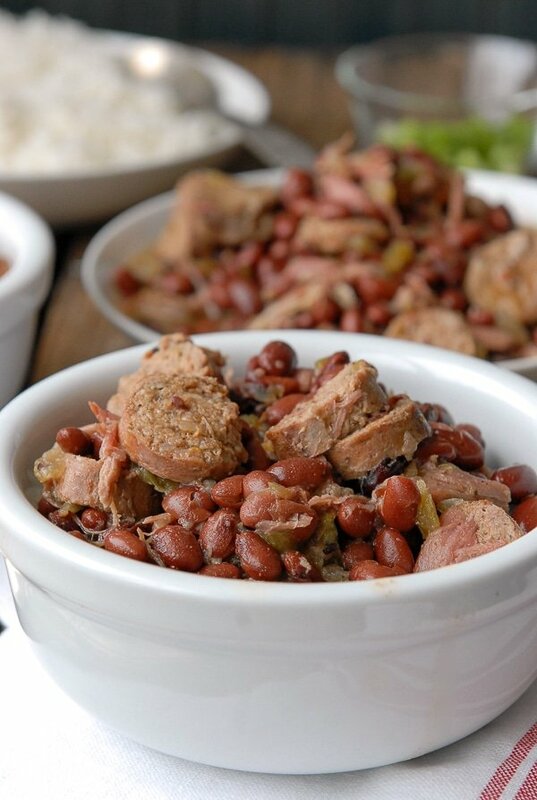 Women could stew the previous day’s ham bone with red beans, vegetables and seasonings slowly while they tended to the week’s dirty clothes without needing to stand over a hot stove. While red beans and rice are a common Monday special at many restaurants in New Orleans, they hold a permanent spot on most local menus. To experience some of the best versions the city has to offer, dive into this local favorite at Oceana Grill or at Felix’s Restaurant and Oyster Bar. 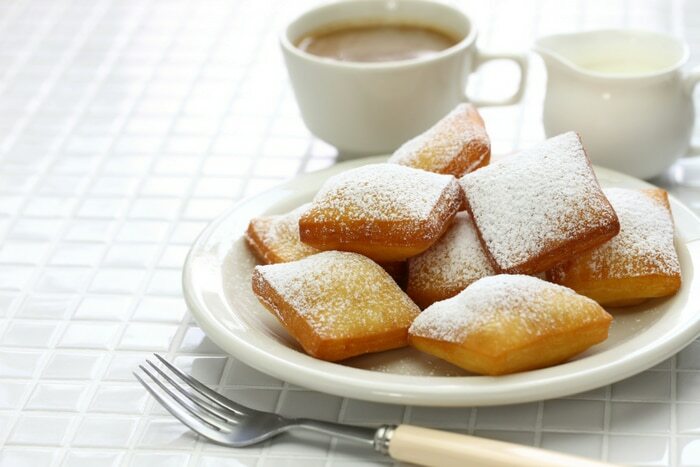 Originating in France, beignets made the journey across the Atlantic with the colonists of the 18th century and quickly became a favorite recipe among residents of New Orleans. One taste of these sweet treats – which are essentially fried squares of dough topped with powdered sugar – and you’ll understand why. 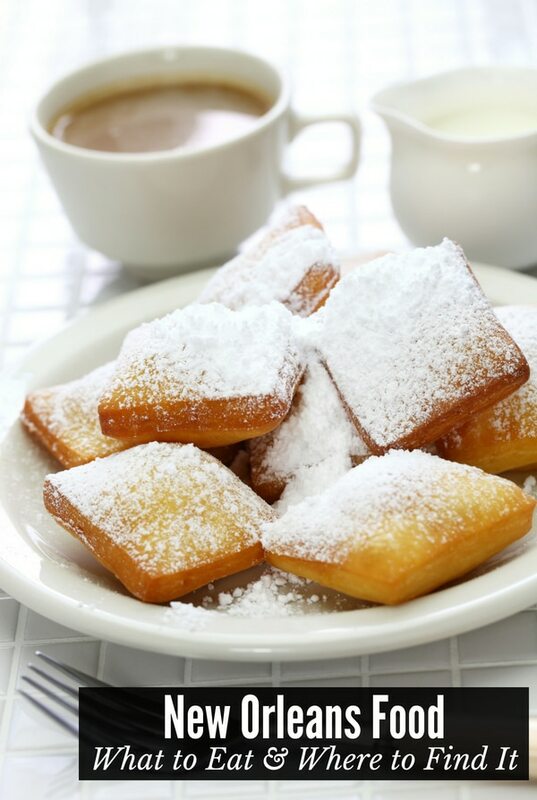 While it’s hard to track down the first restaurant to serve this popular dessert, odds are the well-known Cafe du Monde is among the earliest. Open since 1862, this famous spot exclusively sells beignets and beverages. Don’t feel like competing with the crowds? Check out New Orleans Coffee & Beignet Co. or Cafe Beignet for solid alternatives. First created by Paul Blangé at Brennan’s in the early 1950’s, you’ll find this decadent dessert on many menus across New Orleans. 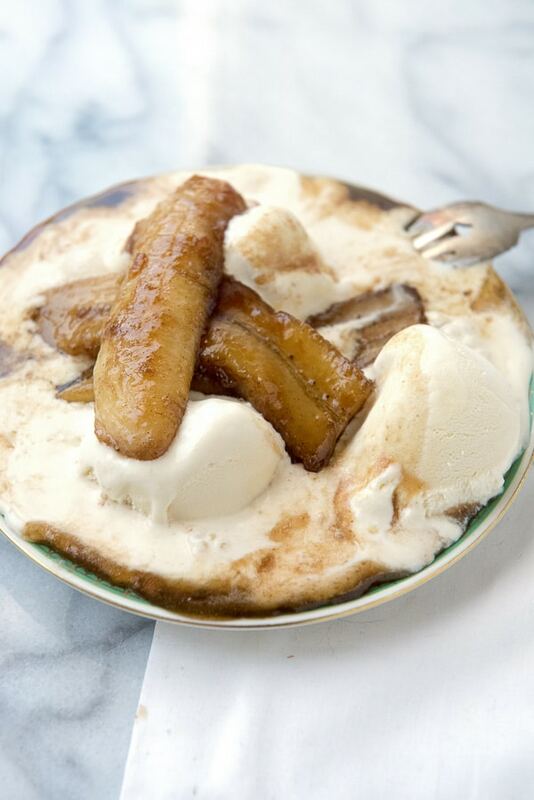 It’s made by sautéing and flambéing bananas with butter, sugar and alcohol, then pouring the resulting sauce over a bowl of vanilla ice cream. Sample the original bananas Foster at Brennan’s, or look for a fun variation of this classic dish, like bananas Foster French toast at The Ruby Slipper Cafe. What tops your list of New Orleans food to try? Did your favorite make the list? Leave a comment and let me know! Saving this awesome guide for our next trip to New Orleans! we were there in may for 5 days and ate our way through the city. one of our favs was a little cafe that served the most amazing breakfast. omg it was good. My mouth is watering looking at these dishes! I think I need to plan a trip to New Orleans! 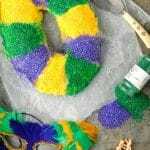 What a great post about New Orleans! We have many great friends and relatives in Louisiana so we visit as often as we can. 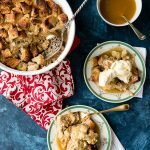 One of our favorite places is the Camelia Grill (the original one at the end of the trolley line on Carrollton or the one in the French Quarter) for their apple pie, which they heat on the grill. We also love Pascal’s Manale for their BBQ Shrimp. 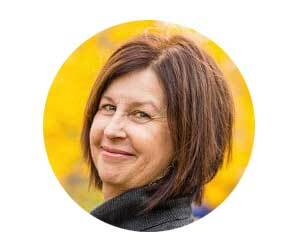 Love the recommendations Kath, thank you! My husband and I have been wanting to visit New Orleans. That will be our next trip. I look forward to trying out all of these dishes. All this food looks amazing. What an incredible location for a food conference! I have never visited New Orleans but definitely would make my first stop for BEIGNETS! I have heard so much about the food in New Orleans. I am afraid it may be spicier than I like. Luckily there are some pastries. After having lived in Baton Rouge, LA for almost 3 years and being a frequent NOLA eater, I am always skeptical of recommendations on where to eat in New Orleans from non-locals. You obviously did your homework! Coop’s Place is one of THE BEST “hole in the wall” joints I have ever eaten at. And Mother’s also tops my list of go-to’s. Just reading this article has made me so hungry!!!!! You couldn’t pay me a better compliment Joanna! Thank you for ringing in with your experience too. I’m pretty sure I just gained 5 lbs reading your post and looking at all the wonderful photos, but it was WORTH it! Thank you for capturing such rich and scrumptious looking foods. All of these foods look amazing. I know what I’ll be trying if I’m ever in the area. I hope to go someday, because I’ve always wanted to go to New Orleans. I would love to try a true beignet! I know New Orleans is so known for having the best! Everything look soooo good! The beignets would be first on my list! I’ve not yet been to new orleans! I’m ALL about the Beignets! I make the Cafe du Monde copycat recipe every Halloween and absolutely love them! 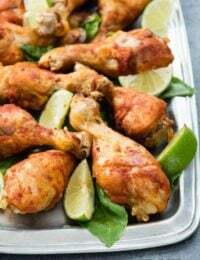 Great tips and recipes here! Only been to New Orleans once and made sure to take in all the food we could. First time we had ever eaten alligator! They do have some exotic specialities! 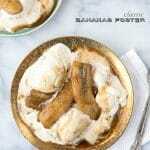 Love Love Love this recipes! I’m sure these tastes are amazing! So YUMMY! I’ve never been, but have always wanted to go. Now I’ll be dreaming about all these amazing recipes, restaurants and experiences 🙂 Thanks Toni – hope you and your family are doing great. The food and atmosphere are two of the things I love about New Orleans. This is the perfect guide! 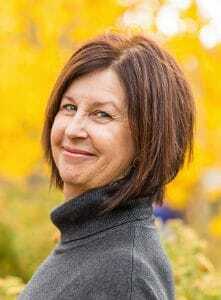 Thank you Vera! It IS such a unique spot, isn’t it? I went to New Orleans a little while ago. Yes, food was one of the things that stuck out to me. So many options to choose from. Your guide will help anyone who’s never been there. This makes me want to plan a trip to New Orleans ASAP! SO much good stuff! I love the whole vibe of New Orleans! The food there looks fabulous. This is a great guide! Thanks Audrey! It is definitely a special place. 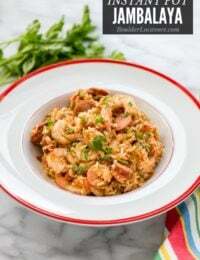 Jambalaya is my husband’s favorite meal – thank you for the delicious sounding instant pot recipe! 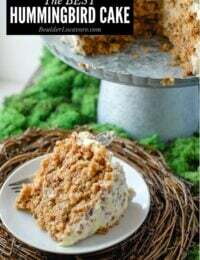 It’s the most popular recipe on my blog Jody! I think your husband would love it (and it’s do darn easy!). Now I’m drooling! I’ve never been to New Orleans and had REAL food. I think I need to plan a trip! I want ALL the Gumbo! It is SO good! I love finding authentic regional food when I travel. So often ‘copies’ of the original don’t completely represent the original recipe. It’s fun to go to the source and in New Orleans the sources can still be visited! I am so bookmarking this! Aside from the amazing atmosphere, food is what makes New Orleans, well, New Orleans. I’ll be visiting all of these the next time I’m in town. New Orleans is my favorite place to travel to. The food and atmosphere there is astounding. You hit all the right places! Yay! So glad to get a nod of approval from one as experienced with their great food! Thank you.